The Weight Gurus Scale is a thin bathroom scale which is commonly used as a weight loss tool. It does not only track your weight but also your body fat and mass index, as well as water and muscle mass. However, there are cases about weight gurus scale not syncing, and that is what we will talk about in this post. So what could possibly cause them not to sync? Let us go find out! This home weight scale uses Bluetooth technology in syncing the data from the scale into your mobile device. You can sync the scale with Android and IOS mobile devices, and this allows you to track your progress in different categories. You can easily set your goals, and the scale will show graphs and charts of your daily statistics. But, what if the scale does not sync? What do you need to do? 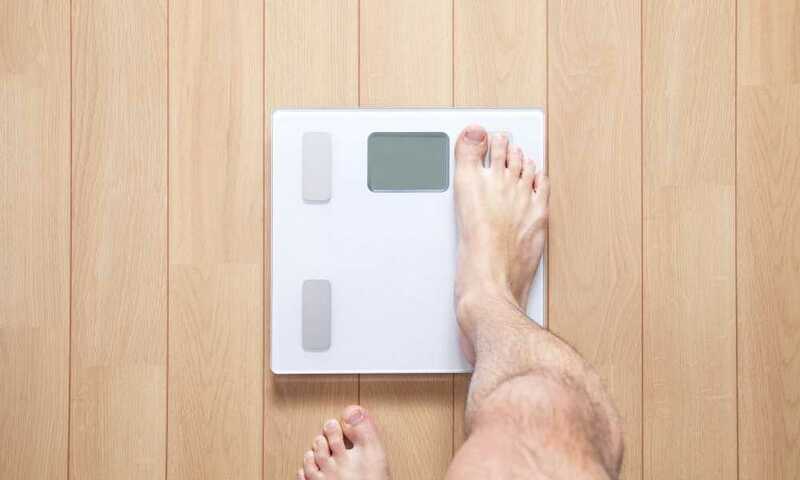 One possible reason why the scale would not sync is when more than one person who, at the same time, weigh ten pounds of each other, are using the scale. The scale may experience a user conflict so you will need to make sure you manually select yourself from the profile list before weighing. If there is only one user, you have to check the list and delete any conflicting profile. Bluetooth is an ever-changing technology, and it is complex which is why pairing your devices can cause different problems. You need to check and make sure your mobile device has the correct Bluetooth version that will work with the scale which is the Smart Bluetooth or the Bluetooth 4.0. If you experience issues, you can use the manual that it comes with or you can always call Customer Services for assistance. There are instances when the first weigh-in would be successful, but it suddenly won’t sync the succeeding ones. One possible reason of this issue is if the application is not turned on when the scale is trying to sync the data, so you have to make sure you open the Weight Gurus application before you weigh yourself. Another possible problem would be an issue with the Bluetooth pairing set up, so you will need to unpair your device and then repeat the pairing process to check if it will resolve the issue. If the issue continues, there may be a need to contact technical services so they can look into the matter further and probably take steps on their end to fix the problem with syncing. To download the application, you have to search for Weight Gurus in the Apple Store or Play Store. The application also integrates with MyFitnessPal, Apple Health, and Google Fit which enables you to share data with different platforms that you can turn on and off anytime. There should be one account per user, although they can share the same scale and device. The user must be logged into their account on the application for the scale to sync the results. Although, it will be better if you have separate devices paired with the scale to prevent confusion or user conflicts. Furthermore, you simply have to weigh-in to sync the measurements to your device. As long as your device is within Bluetooth range and the Weight Gurus application is open, syncing will occur to the account of the user. An audible beep will be heard once the scale successfully synced to your device while a failed sync will give you three short beeps. Your measurements will still be saved if the sync failed and then attempt to sync again on your next weigh-in. To set-up your Bluetooth, you just have to select the Bluetooth Setup in the Weight Gurus application menu. After successfully pairing your device to the scale, you need to choose your user number so your profile can be set, and then weigh yourself to get started. If more than one person is using the scale and they are within a weight of 10lbs from each other, there can be an issue with auto-detection. If this happens, you have to select your user or profile number manually, so it measures the profile that you have selected. Sometimes, unpairing your device will be necessary to refresh the entire setup process. There may also be a need to clear your user profiles from the scale so you can do the reset. Once done, repeat the pairing process and make sure that there is one account per user to prevent user conflicts moving forward. So, after a thorough discussion about weight gurus scale not syncing, we can now conclude that there are a couple of reasons which causes this issue and we now have an idea on how to resolve them. The details stated above are just a few possible reasons causing the scale not to sync, but there could be other possible causes aside from these, so if the steps above would not help, you can always revert to the guide. Of course, we want to be able to get accurate data especially when our goal is to track and monitor our progress, and these applications make it possible and incredibly easy for us to set goals and track the results from our very own devices. Understanding how these apps work and knowing how to fix technical issues that can arise are critical in making sure we do not lose track of results, and that we get accurate data so we would know if it is trending good based on our set goal. You can also rely on the manual guides that come with the scale and follow the instructions to fix issues with syncing or you can call technical support for assistance with troubleshooting. The important thing is that you learn that there is an issue so you can come up with the possible fix as soon as possible.